i am smitten with yarn wreaths. i want to just keep making them, you may feel the same after reading this. supplies: straw wreath, yarn, felt, scissors, glue, and any other embellishments your little heart desires. step 1: keep the plastic wrapping on the straw wreath. i have made yarn wreaths in the past and taken the plastic off and it is much more complicated, time consuming and MESSY. you can definitely use a foam wreath as well, but i find that the yarn goes on easier with a plastic cover and the foam wreaths usually aren't wrapped. cut a circle out of felt. the bigger the circle, the bigger the flower. cut around the outside of the circle to make it have a waved look. pick any point on the circle to start cutting the felt. you will be cutting a large spiral shape so that you will end up with one long thin strip of felt. when you get to the very end you will have a circle or oval shape left that you will want to leave and not cut into. this will be the base of your flower. take the end of the felt where you began cutting and start to roll. you will want to keep it tight in the beginning so it holds. if you want a smaller more circular flower keep it tight. if you want it to have a more open look you can keep it a little more loose as you roll it (this is what i did). once you get to the end you will glue the bottom onto the flower. i used hot glue, you can use a strong craft glue as well. make as many flowers as you'd like. i made mine a few different sizes and used two different colors. step 4: glue and place them randomly. add any other embellishments that you would like. step 5: add a ribbon, raffia, twine, fabric, etc to hang your wreath with. step 6: admire your beautiful, handmade goodness. my finished wreath along with my mom and sister's wreaths. my mom wrapped a ribbon around her's and also made felt leaves. my sister used a multicolor yarn, added some fun berries and a dainty little bird. i wanted a more simple look and stuck with the felt flowers. Thanks for sharing. I think I'll try to make one this week - perfect for the fall! I am new to your blog. I don't know how I came across it though. Nancy here from Ma! LOVE this idea. I'm hitting up the dollar store tonight and making several of these as gifts. Wow, you are super creative!!! I'm so impressed! I LOVE THIS. On my list to makes. Those flowers are so perfect. These are really lovely! Truly! Thanks so much for sharing. I made a yarn/felt wreath for St. Patrick's Day this past spring, but yours is stunning! Thanks for sharing! ahhhhh...so cute! i love the colors and the flowers, i'm in love! I loved this, and thanks to Apartment Therapy for guiding me here. I'm thinking of doing one of this for Christmas!! This is soooooo cute!!! I made one yesterday with fabric and felt flowers, but yours definitely wins. Love it! Love this! I just finished mine this morning, and I am completely giddy over it! Thank you for such an easy tutorial & GREAT holiday gift idea! fun!!! yarn wreaths are probably my favorite craft :) i love how yours turned out! i leave the plastic on mine too! so soft and pretty, love the colors! What a fun idea! I'm sharing this with my sisters so we can make some on our next Sister Craft Day! I just stopped in because I saw a link for this tutorial from another blog! And I wanted to tell you that I love this tutorial and that your blog is absolutely adorable! I'll be following you! Well your blog. That sounded silly. I am absolutely in love with this!! Thank you for the awesome tutorial! Those are gorgeous! We were inspired and made one too! Thanks!! Thanks, Danielle! This is very easy to follow. I'm off to Michael's! They are gorgeous, cozy, and perfect for fall. Thanks for sharing. Absolutely BEAUTIFUL! Great tutorial too! I saw this post a while ago on a friend's blog...and I went to find it again and couldn't. Lucky for me the intranet is so easy to be a stalker....and I found your blog! Huzzah. My friends and I are going to have a girls night of drinks and yarn and try out your uber pretty wreath. Thanks for sharing the inspiration! Beautiful! I love these wreaths. My mom wanted a wreath that was $150.00 and ugly. So I was thinking, what could I do instead?? Then I saw this featured on another blog (I think it was To Be Charmed.. Don't remember now) Perfect timing! I added it to my blog's To Do List and am buying the supplies today! :) Thanks! I saw this on the Cartwheels in my Mind blog and I LOVE THIS! I have to make one now! How cute! Did you use two packs of yarn for this? It looks like it....but not sure? Love, Love, love it. I made 2 so far! THANKS! So happy to find your blog and a Believer!! May the Lord Bless you as you follow Him! what a great idea, i have to say that i am TOTALLY inlove with it. i can use my waste yarn too. so classy! This is fabulous - I hope to make one of these for Christmas! Thanks for the great tutorial! Wreaths are probably my favorite craft! This is awesome!! I have tons of yarn lying about that would be perfect for this. Thanks for the fab idea!! Great tutorial - I absolutely love the felt flowers! Those flowers are adorable! I want to make them asap! Thanks for sharing! I found your blog via Nuestra Vida Dulce. She linked your tutorial on yesterday's post. I absolutely loved it. So much so, that my sister and I spent our afternoon off yesterday making wreaths. So thanks! ....what kind of glue did you use? 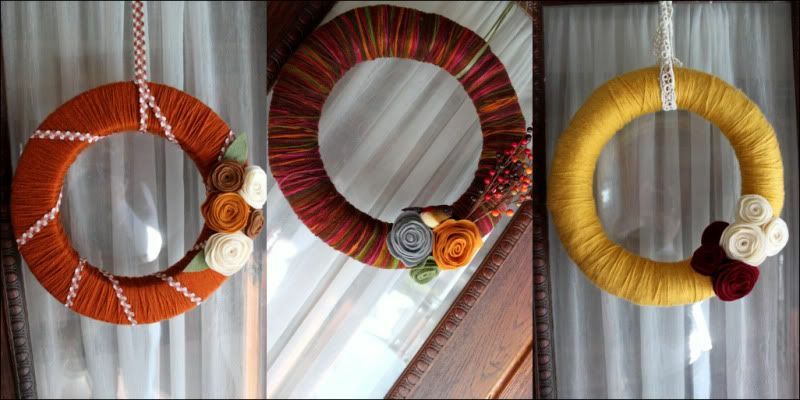 Just saw another blogger make one of your wreaths ( I think ) and finally found how to make it...here! LOVE your blog. Thanks for sharing it and yourself with the world! Danielle, I loved your wreath and I made one this weekend! I featured it on my blog today with a link to your tutorial. Thanks so much for sharing--I adore my new wreath! Thanks so much for sharing this! I just finished one to bring to my Mom's for Thanksgiving. She's a knitter and will love it! Your directions were great--super easy to follow and clear. Thanks again! Thanks for sharing. Hope you don't mind a shout out on my blog. I found you via Nuestra Vida Dulce, so I'm crediting you both for the inspiration! MAde one last night in a fuzzy purple yarn very cool and can't wait to make more for xmas gifts this year. Takes some time wrapping but with a good show on,a fire,glass of wine your good to go and the result is amazing. great step by step instructions and pictures thanks for sharing. I had been admiring them on an etsy site and thought I can make that. Love this! Thanks so much for the help! Quick question: when you're cutting the felt into the oval (going round and round) do you keep following the wavy line you started with? I just found this post through google. I've wanted a wreath like this for sometime + just bought the supplies today. so excited to make it! These are beautiful! I am making them for Christmas gifts this year. Thanks for posting this! many thanks to you for sharing this wonderful tutorial! just tweeted about it! Great Tut! I just made a Valentine wreath covered in felt flowers and I linked to your awesome tutorial! This is so cute! I want to try to make one for Valentine's Day! I love the yarn wreaths & felt flowers! I have my Valentines version posted at www.thecraftygals.blogspot.com. I Love your color chioces. I totally love this=)) Glad I found you! This is just great! Found you at Someday Crafts. Gorgeous! I will definitely be making some for each season! Tanks for sharing! I made my own yarn wreath! Thank you for the inspiration/tutorial! Mine is for Valentine's Day... and I am also giving one away! Wow! I'm going to do this ASAP!! It's beautiful! Thanks for the tip! Several of my girlfriends did this and one sent the link out to the rest of us when we OOHed and AAHed over the finished product. So cute! Where do you get a straw wreath from? Nevermind, I found the straw wreath...but was it 8 inch, 10 inch, or 12 inch?? :) Thank you!! Thank you so much for posting this!! I just made one the match my bedroom and I'm incredibly excited about it. I will be linking your blog so my readers can have the opportunity to make one themselves. I am TOTALLY addicted to making yarn wreaths. I shared my creations (inspired by you of course!) and now I'm excited to be more adventurous with it now that I got the hang of it! I linked back to you on my blog, I'm just starting out and would love some feedback and followers! ha! I've been following you since about December '10. I love your blog so much, it inspires me every day! Sending love and warm vibes your way! I made one of these for my daughter so she could pin it on her dress. She loves it! Thanks for the tip! I love wreaths! 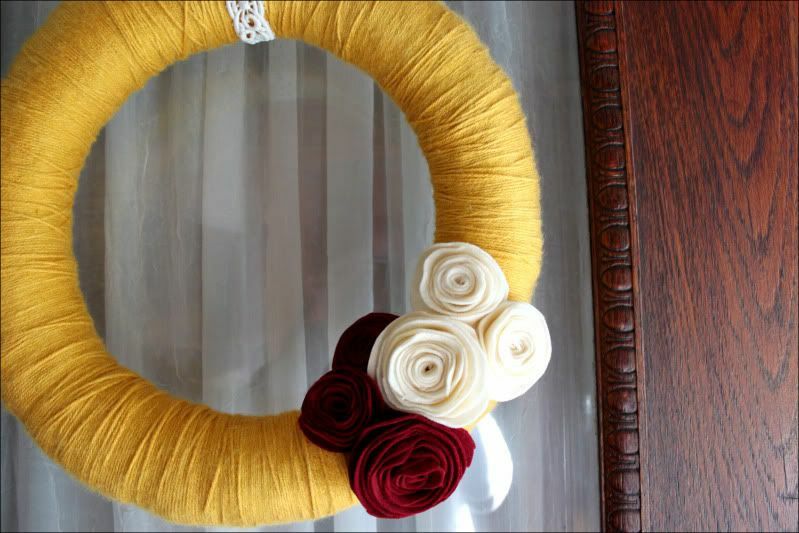 I can't believe I never thought to make a yarn wreath. Thanks for the idea. I'm off to Hobby Lobby! This is gorgeous! I've always wanted to buy one but am too cheap to pay full price (and they are never on sale!). So excited to try this!!!! Great tutorial thanks! I will have a go at making one and blog my results! Have a look my blog for photos of the wreath I made - I loved making it! New follower via GFC. My daughter @ Our Crazy Bunch sent me the link so that I could try my hand at this. These are so cute. Would love for you to Come check my blog out @ Life or Something Like It. Did you scotch guard it before hanging it outside? Can't wait to try this, your tutorial is great! Thank you so much for sharing! i just made mine and i love it!!! thank you for the amazing tutorial. I found this tutorial on Pinterest, and love it! Just blogged about mine, with a link back to your post. Thanks for the great idea. Thank you so much for sharing this wonderful tutorial! I made mine, too, and posted on my blog. It's just breathtakingly beautiful!! I love this idea. Do you know how to use 2 colors of felt in just one flower? Thank you for posting how to make these! I must make one of these! And I am a new follower! After reading your post, I made them and I LOVE IT!! I would do it over and over again. I have also given my friends your link and they plan on doing one themselves as well! 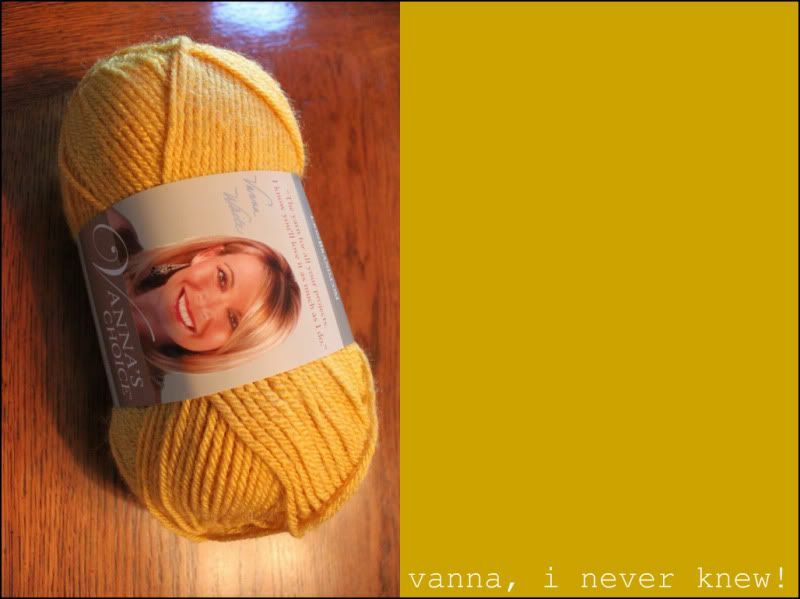 PS I copied your gold yarn color as it's quite delightful for fall! I'm so excited to make one! PS...we share the same two names! Danielle Burk, Danielle Berk! I am not one to be very crafty, but I definitely did this for Fall and loved it. Thanks for the tutorial! Love your wreath ideas. Love, love, love them. I love, love, your wreath. They are beautiful. I hope this works this time. I love, love, love your wreaths. Great idea. I just picked up my supplies to make myself a valentine's day version of this! Thank you so much for the how-to! LOVE IT!!! MAKING ONE RIGHT NOW!!! I just made my own version of this! Thank you SO much for the super easy flower tutorial (which I pinned and will also be linking to my blog). Thank you!!!! Thanks for this :) just made my first one to send to a friend! I used a mixture of felt flowers with crocheted flowers, as well as little stacks of buttons. Looks really cute! Thanks so much for sharing this tutorial. It's adorable! Your mom and sister did great work too! These are beautiful and unintimidating. Thank you! I featured you on my website ecofeltcrafts.com. This is so beautiful and unintimidating. Thank you! I featured you on my website ecofeltcrafts.com. This is beautiful and unintimidating. Thank you! I featured you on my website ecofeltcrafts.com. i want to just keep making them, after reading this, thanks for sharing, Send gifts to Pakistan from UK. Just wanted to stop in and say that I used this tutorial a year or so ago to start making wreaths. Love them! I wrote a post about it today and linked to your tutorial because it helped me so much. Good job! Made one this weekend - thanks for the tips. I'll be posting about it at Nook & Sea soon. Take care! This is a good,common sense article.Very helpful to one who is just finding the resources about this part. I have done something similar to this but also using some other materials. I just found your blog off of craftgawker, & I made one of the roses! Its so simple! I made an orange one, with light green leaves. Thanks for the simple tut! I love this idea and will be attempting this today. I would like to credit you for this easy tutorial on my next blog post. Just let me know, I'm a blogging, writing, reading, and sometimes crafty mamma. Thanks a bunch! I love this! Thank you for the tutorial! I hope it is as easy for me to do as you made it seem. Are these best for use inside?